After 14 years of perfecting her craft at some of Spokane's finest dining establishments, local Chef Amanda Hillmann is at the forefront of a movement in food preparation known as modernist cuisine. At its core, modernist cooking is about using the industry's most up to date techniques and combines it with home execution. This idea will improve and enrich the way we cook. Chef Amanda offers a wide variety of cooking classes from how to make the perfect Pho to singles speed dating cooking events, and popular classes like date night cooking. Amanda makes learning and cooking engaging and fun. She even has classes for kids aged 6 through 12 teaching them how to make their own school lunches or how to prepare the next family Thanksgiving appetizer. Chef Amanda also offers a unique catering service with menus prepared using modernist cooking techniques for your business corporate events, private party or any occasion for up to 150 people. 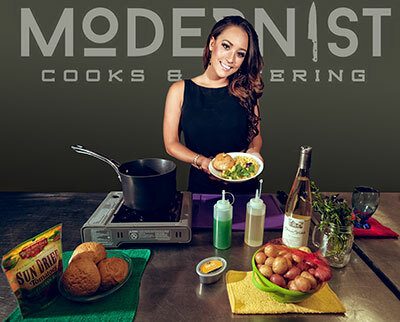 To discover the variety of cooking classes Chef Amanda teaches or for information about catering, visit www.ModernistCooks.com or email Amanda@ModernistCooks.com or find her on Facebook www.facebook.com/ModernistCooks. 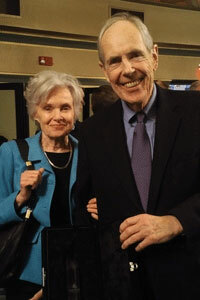 Longtime Spokane residents Dave and Mari Clack helped build this city. From aggregating the land that is now home to numerous thriving businesses in the University District, not to mention six Spokane higher institutions and two medical schools; to laying the foundation for rural medical education in the Pacific Northwest; to coming alongside countless Spokane nonprofits-especially those serving women and children; Dave and Mari are the kind of community leaders who radically transform not just a city, but the countless lives therein. You're invited to honor Dave and Mari for their outstanding impact in Spokane at the annual University District Month celebration on Wednesday, October 11 from 5:30-7pm in Gonzaga's Hemmingson Center Ballroom. The event theme, 'Put Your Paddle In,' is symbolic of the Clacks' commitment to community and a model for us all to follow as we invest in the growth and vitality of Spokane's University District. Doors open at 5:15pm, a brief program will go from 5:30-6:15 and the event will conclude at 7. The event is free. RSVP at putyourpaddlein.eventbrite.com. Tuesday & Wednesday, October 10 & 11 at Children's Home Society in Spokane Valley. Wednesday, October 18 Online via Zoom web conferencing. These will all be held from 2-5pm. For more information and to register go to leadershipbusinesscoaching.com/events. Washington State University supporters committed $21.6 million in private support in June - a record for that month - to bring WSU's total fundraising activity to more than $122.6 million in gifts, grants, revocable commitments and other contributions during Fiscal Year 2017. The WSU Foundation received commitments from 55,743 donors who recorded nearly 109,000 gift transactions during FY2017, which ended June 30. Donors designated their contributions to support scholarships and fellowships, meaningful research, academic programs, and service initiatives across the state and beyond. New home construction awards were presented to builders participating in the 13th Annual Fall Festival of Homes at the Kick-Off Night & Awards Dinner held September 28. Numerous awards were handed out, including awards for Best Overall, Best Architectural & Interior Design, Best Kitchen, Best Master Suite, Best Landscaping, Innovative Technology Leader and more. To see a list of winners, www.SpokaneFestivalofHomes.com. The Fall Festival of Homes continues this weekend, Friday through Sunday, October 6-8, with a free tour of new home construction featuring 28 homes from 19 of Spokane's finest builders. This year's event features homes varying in price from $209,900 to $800,000 and are located in neighborhoods throughout the greater Spokane area. This Medical & Resource event will be Saturday, October 7 from 10am-2pm at the Southside Community Center, 3151 E 27the Ave on the South Hill. Vendors will have information on In-home care, retirement communities, hearing services, hospice and cemeteries, insurance, chiropractic, dental clinic, physical therapy, medical services, senior resources and much more. Parking is free, $5 lunch available. Free blood pressure checks available, hearing specialists will be on hand. Fill out a 'Round-up Card' with a minimum of 27 vendors initials to qualify to wine cash prizes of $100, $75 or $25. For more information on the event, call the Southside Community Center at 509-535-0803.